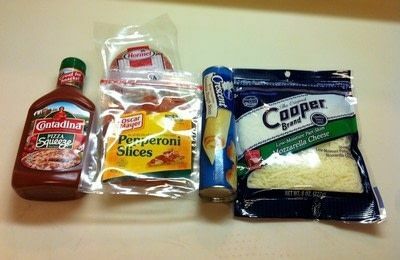 A fast and easy way to make a delicious dinner that is sure to satisfy your desire for that Italian flavor minus the time. 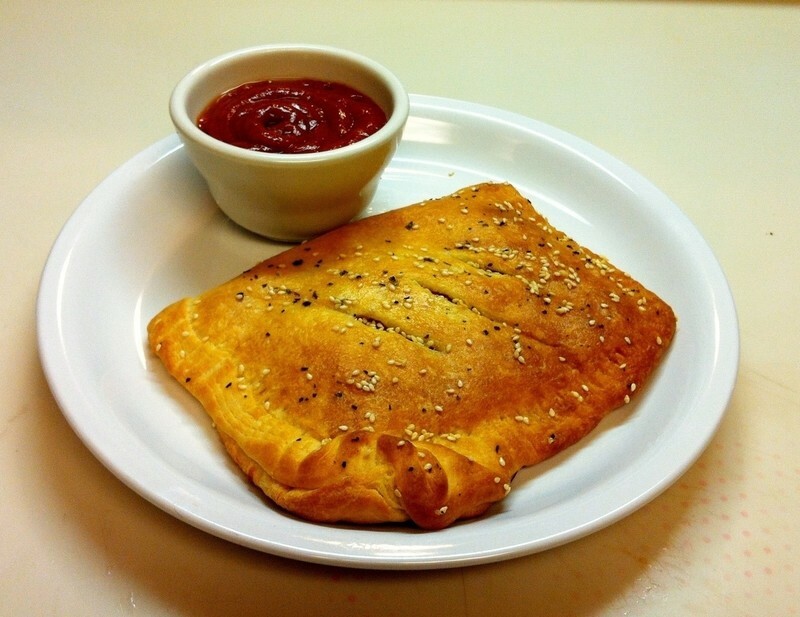 My inspiration behind this creation was Sborro's Calzones. They tasted good, but the nearest one is over 14 miles away. So in search of quenching my craving, we decided to give it try creating our own. Remove dough from the can and lay on a parchment sheet. 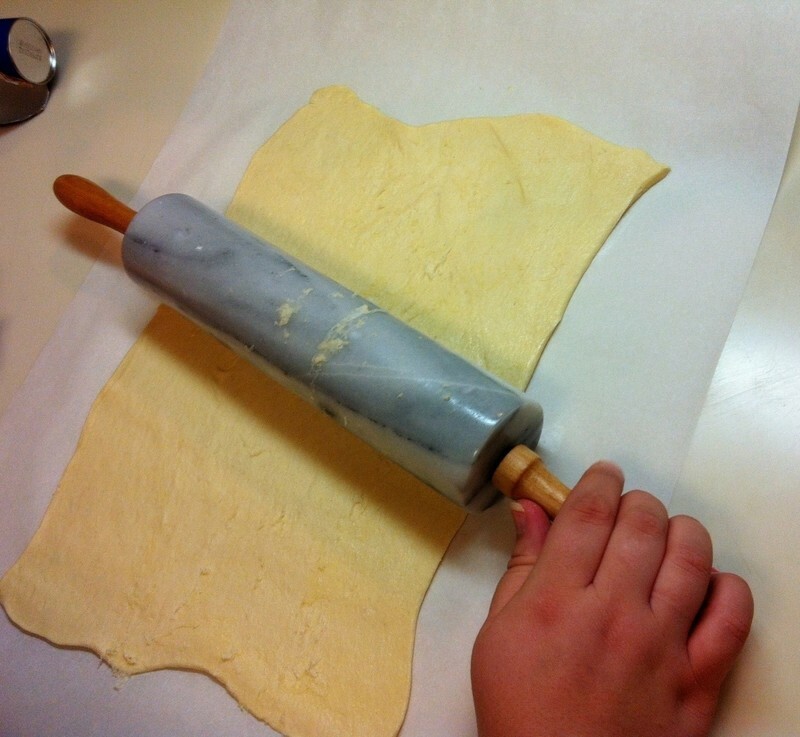 Using a roller, stretch out dough to make it 1/4 inch. 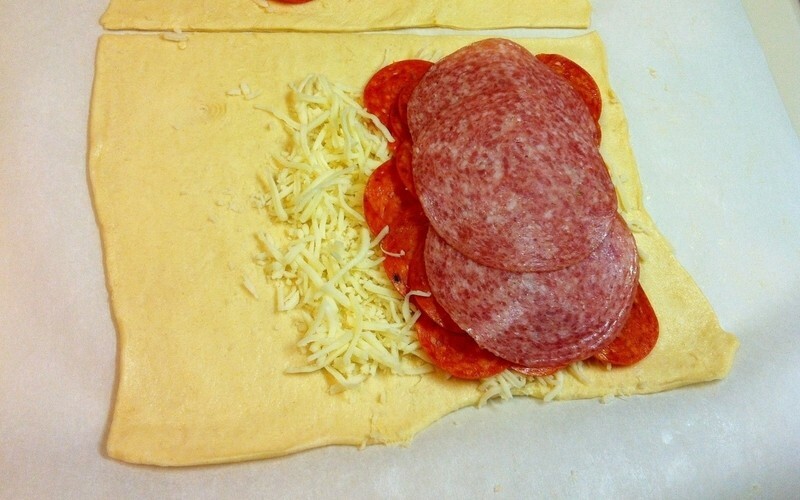 Cut the dough into two equal halves. Place topping on one side of the dough, starting with the Mozarella. Take the side that does not have any toppings and pull across to the other side, covering the toppings. to seal the calzone. 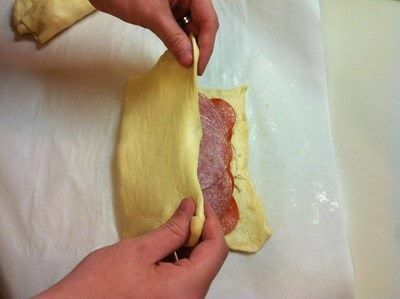 Then take a knife and cut three even slits in the top of the calzone. Here's where the other ingredients come in hand handy. 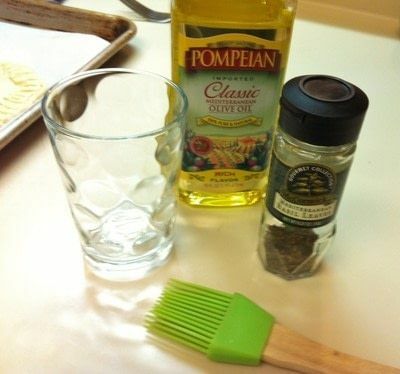 Take the Olive oil and pour into a small cup. 1/4 cup worth. Then take the basil and sprinkle it into the oil. 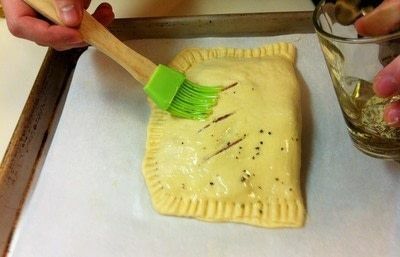 take a basting brush and stir the contents. take the basting brush and brush the top of the calzone lightly and evenly. the top should look slightly shiney. 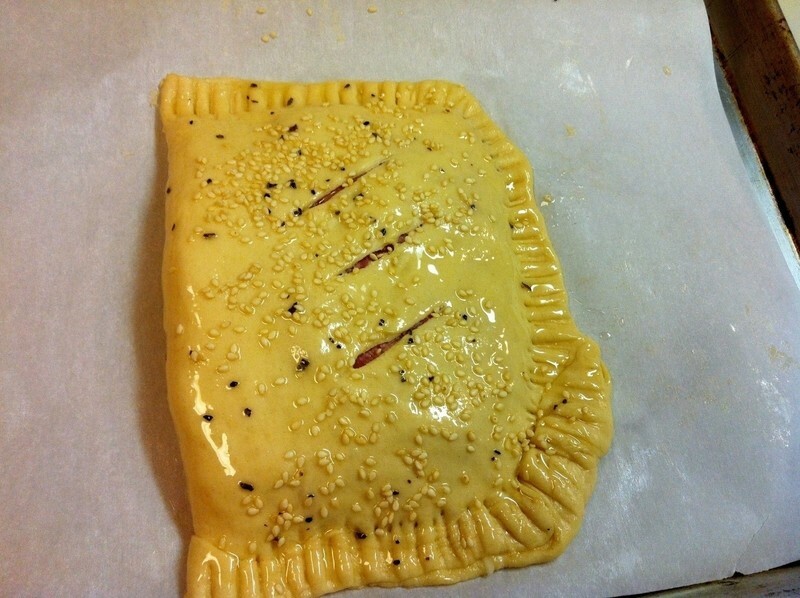 take sesame seeds and sprinkle over the top. 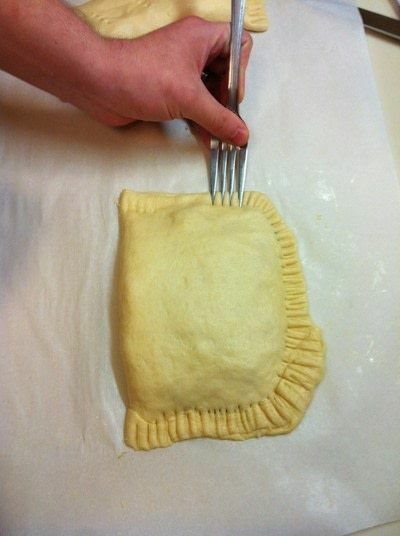 Pick up the paper and place it on a cookie sheet. Let cook for 10 minutes or until the top is golden brown. And lastly, Eat up! its delicious! how many calories are in this hahaha i joke looks amazing!!! gonna make so many and this freezable? *Drool* omg that looks so good. This was really easy and wicked good. XD tried it, and I loved it!!! YAY! A new recipe for dinner! Very awesome idea! My late husband was English & he used to make meat pies for the kids & they so miss them, I never knew how to make them, I will try this to see if it equals up. Very cool idea! !